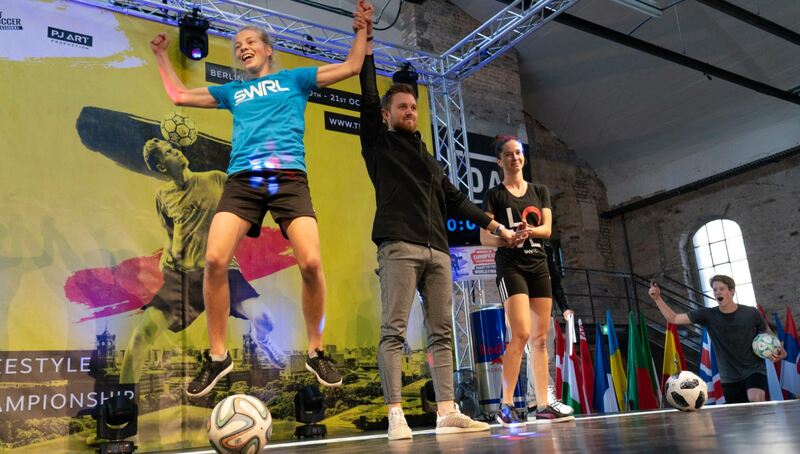 Held in the historic city of Berlin, this year’s European Freestyle Football Championships has once again showed the continent’s rising talent and passion for the sport. We were live on the scene at the major competition, and we’ve compiled a list of our biggest takeaways — from the Fagerli brothers’ dominance once again to the beautiful venues that played host to competitors and spectators alike. 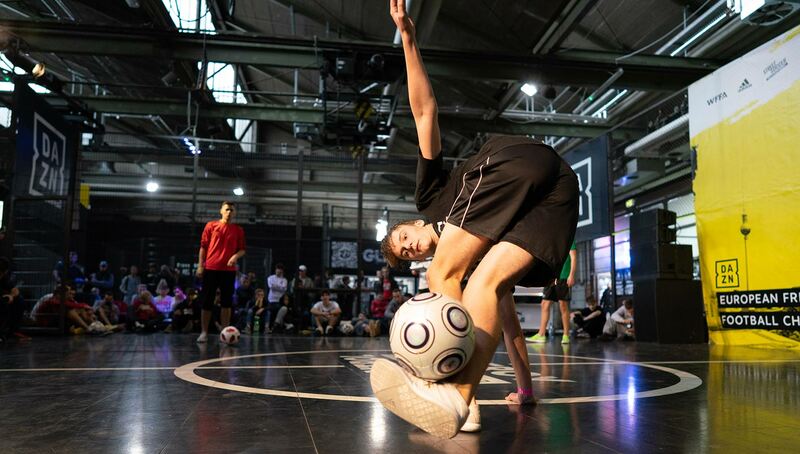 In what was the final tuneup before next month’s Red Bull Street Style World Finals for many, Europe’s finest freestylers ventured to Berlin to compete in the glorious 2018 European Freestyle Football Championships. With over 109 competitors from 22 different countries, it was great to see a large chunk of the freestyle family all under one roof again. The level was high, and the venues were awesome — here’s a recap on some of the highlights and talking points from the two days in the German capital this year. 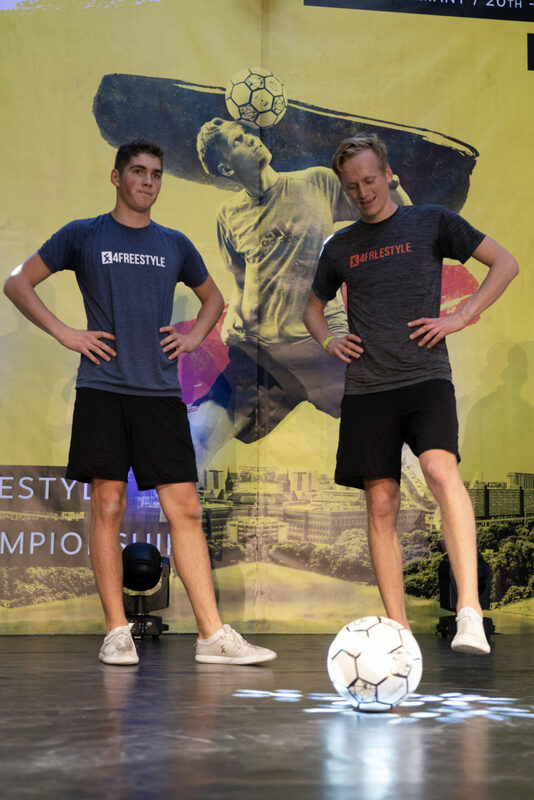 Speaking to many freestylers in the buildup to the competition about who would win, the general consensus was immediately obvious that the standout favorites were none other than Norway’s two-piece combo of brothers Erlend and Brynjar Fagerli. 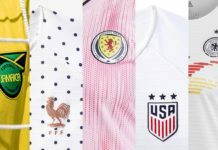 As the competition progressed, it became inevitable that the pair would eventually face each other in the final, a repeat of last year’s European Championship as well. But this time it was Erlend who came out victorious as a thoroughly deserved winner, adding to his national and Super Ball titles earned earlier this year. 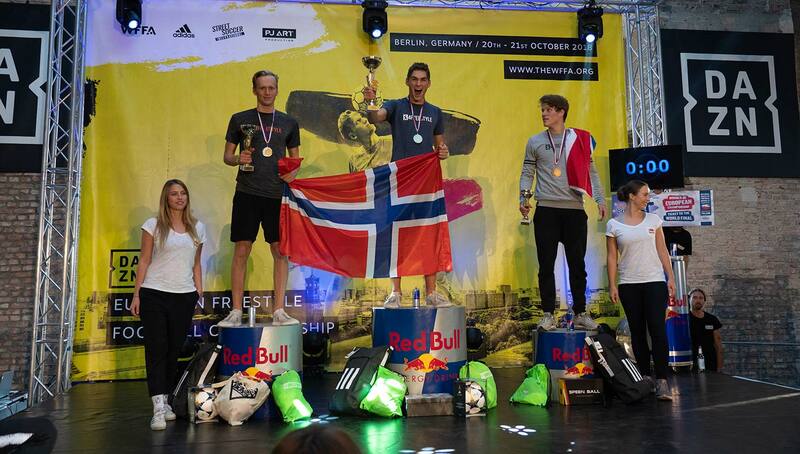 Erlend took the title of European Champion from Brynjar who finished second. Jesse Marlet (Netherlands) produced some solid displays to finish third. It now begs the question, who is going to challenge these two? 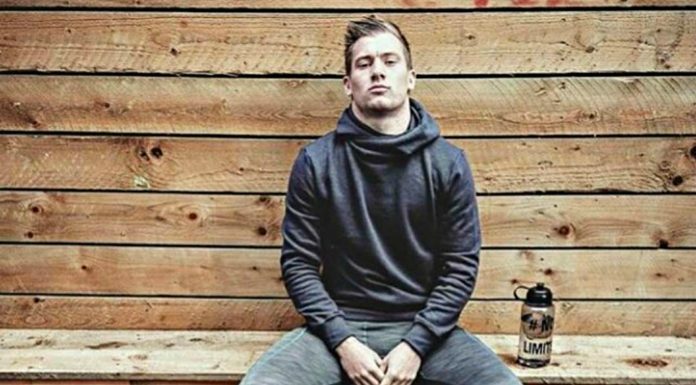 Jesse Marlet and VLO, who respectively finished in third and fourth place, are certainly on the rise, but it’s going to take something big to dethrone the Fagerlis, who continue to blow our minds with their fluent, fast, and mind-boggling all around freestyle. Max Meyer raises the hand of Laura Dekker who became the new female European Champion. As always in this sport, it’s great to see new faces and the scene growing. Growth is even perhaps more evident on the female side of things — from skill level to the amount of participants in major competitions. 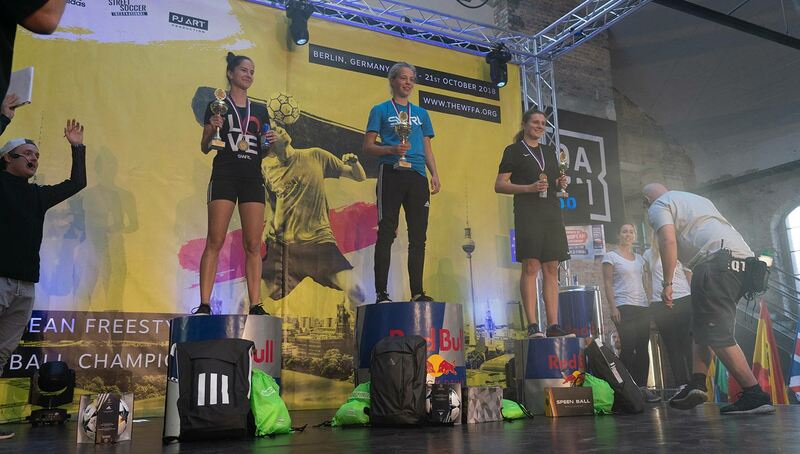 From the nine female competitors this year (five more than last year’s EFFC in Manchester), it was an entirely different lineup on the Red Bull podium come the end of the competition. Laura Dekker from The Netherlands has really exploded onto the freestyle scene this year within competitions. She earned the top spot on the podium most notably for her strong lower combos and sole stall variations, a worthy new female champion for sure. The experienced Lucia Kevicka (Slovakia) took the second spot while Zaneta Cygora (Poland) completed the medal positions. The females take their places on the podium. (L-R) Lucia Kevicka in second place, Laura Dekker in first place, and Zaneta Cygora in third place. The bar has been raised high by Laura and it would be interesting to see the next competition in which all the females, especially the big names, bring their A-game to stage. 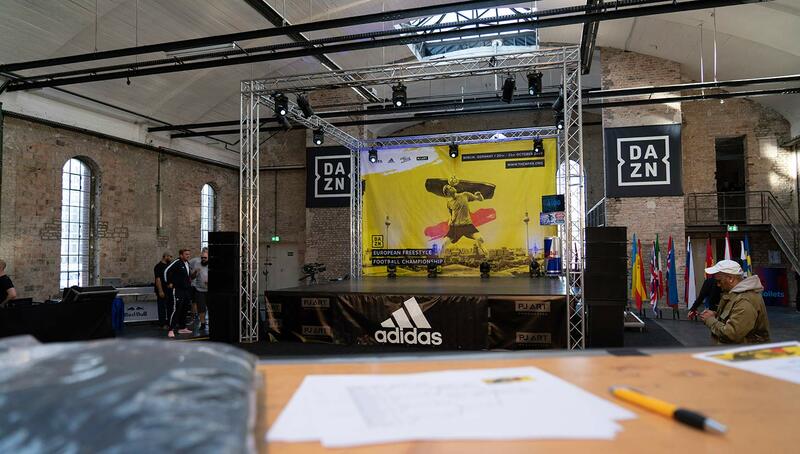 We were fortunate enough to have one of adidas’ iconic Base venues play host for the first day of the competition. 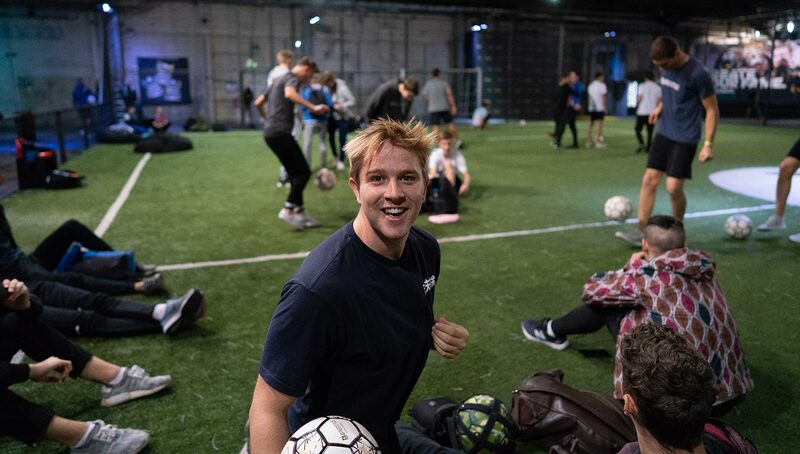 Somewhat of a footballer’s paradise, The Base Berlin had everything you could think of and more, ranging from the panna cage, to speedball, to a big FIFA gaming station for players to jump into whenever they fancied. There really was plenty to do if people wanted a break from the freestyle action. 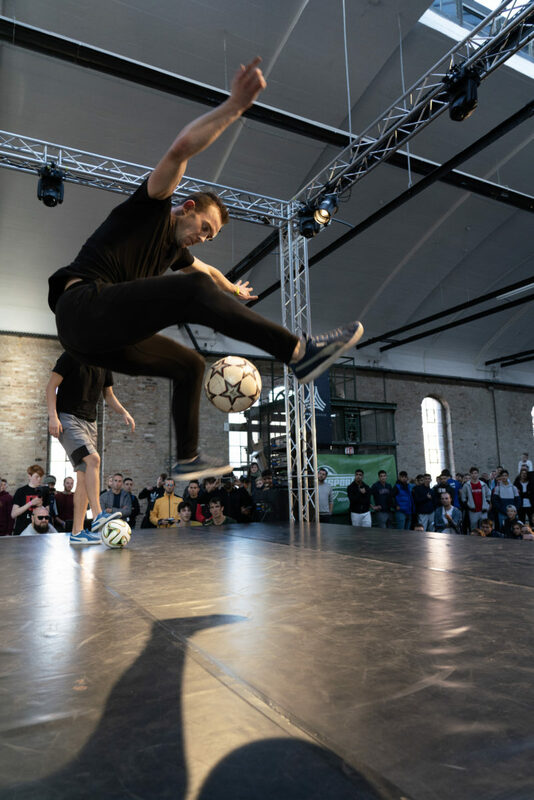 Freestylers were fortunate enough to have the large turf pitch for a warm up area, and the main futsal court as center stage for the battles to take place (although truth be told the latter was a little slippery). 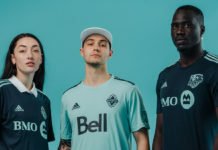 It’s great to see such a household name as adidas collaborating with the sport of freestyle and us being able to use their facilities for such events. Hopefully something similar will remain a possibility in the future. 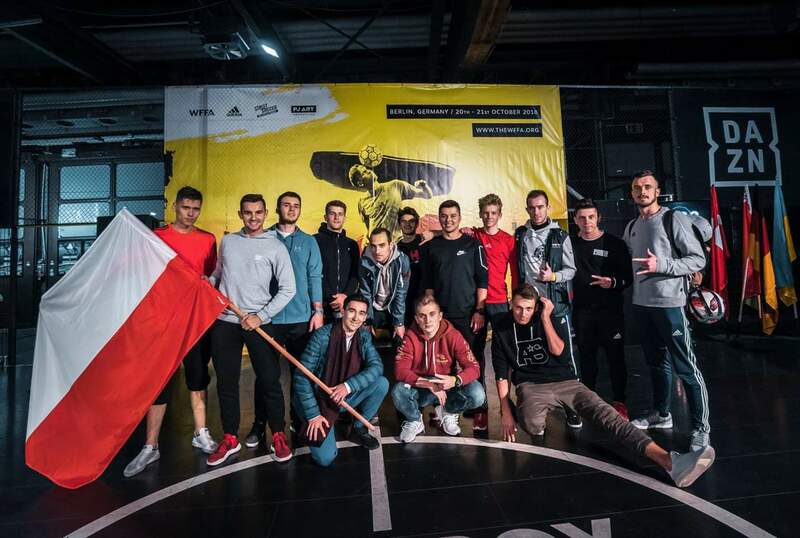 For the past couple years, there had been next to no Polish freestylers competing in EFFC as it happened to fall around the same time as the Poland National Championships. However this year the Pols turned up in their numbers and really reminded us what we had been missing out on. 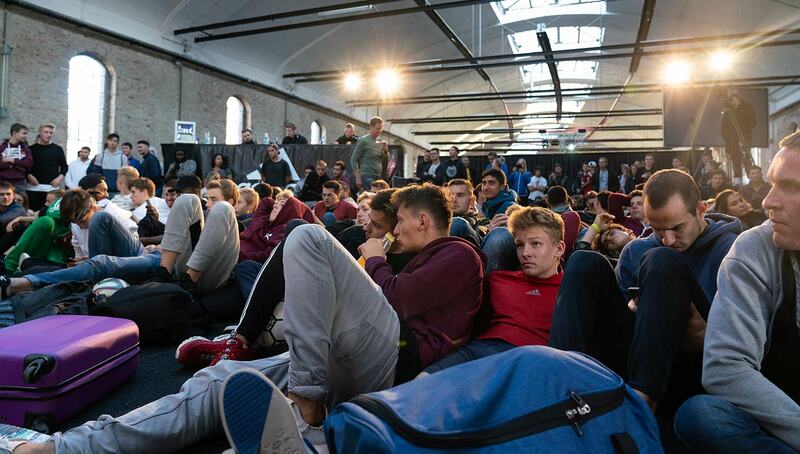 A combination of some of the big names such as Szymo and Guzik, along with ones to watch for in the future like Piotr Kielar and his crazy J-Stall variations, a whopping seven Polish freestylers occupied places in the Top 16 battles. Each with their own unique flavor of freestyle, this is again a testament to how good this nation has been at producing a really high level freestylers over the years. Poland freestyle veteran Szymo managed to reach the top eight with his crazy and smooth all around freestyle. Jakob from Denmark shows off his amazing wrap and clipper variations. Make no mistake about it, this was the most tightly contested European Championships ever when you look at all the players that competed. Unlike Super Ball, there were very few rookies competing and with no side competition such as Sick 3 or Challenge, everyone who came here meant business! Circle battles were heating up from the jump and there were a fair amount of upsets along the way as well. 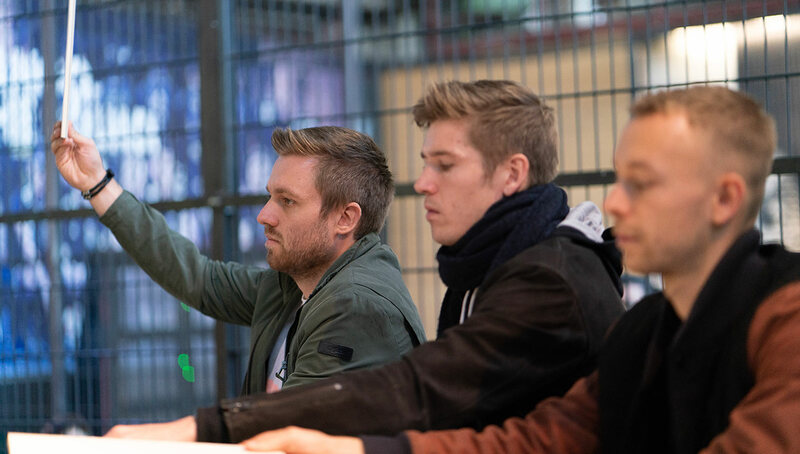 The judging panel of Germany’s Max Meyer and Philippe Gnannt alongside head judge Simon Atli Larsen of Denmark didn’t have it easy in putting the best through to the next round each time, on many occasions just a single point being the difference. 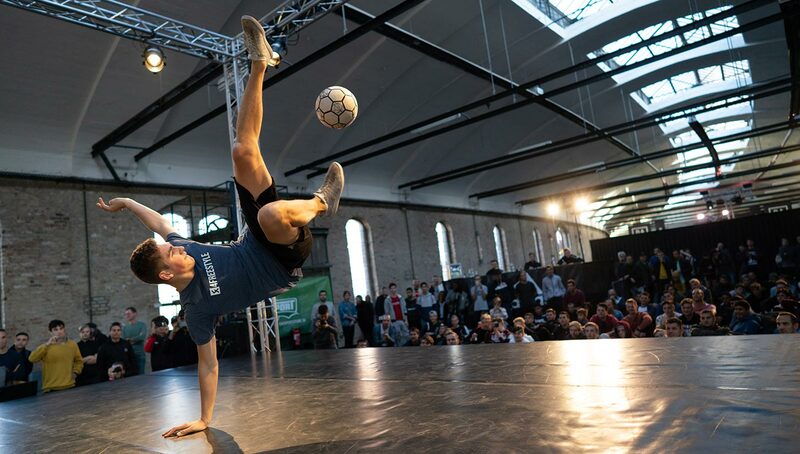 With so many countries in Europe and still many big names absent from this year’s EFFC, is Europe the best continent for freestyle right now? 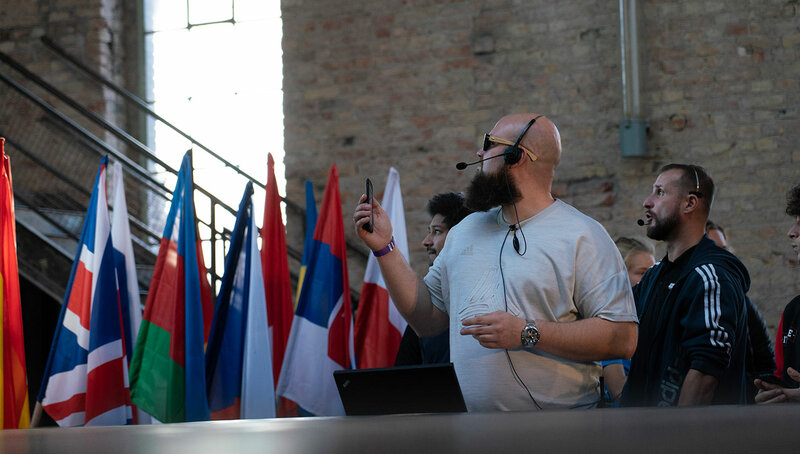 Speaking to the big boss Lucaso reflecting after the event, it seems the cultural city of Berlin played a perfect host for this event in many ways, and we shouldn’t rule out European Champs or another freestyle-related event making a return to the German capital. How to explain the final venue? It was kind of like an industrial estate building that’s been kitted out for filming and exhibition events. But none of that matters because it looks barely recognizable when Red Bull and adidas got their hands on it and transformed the place. 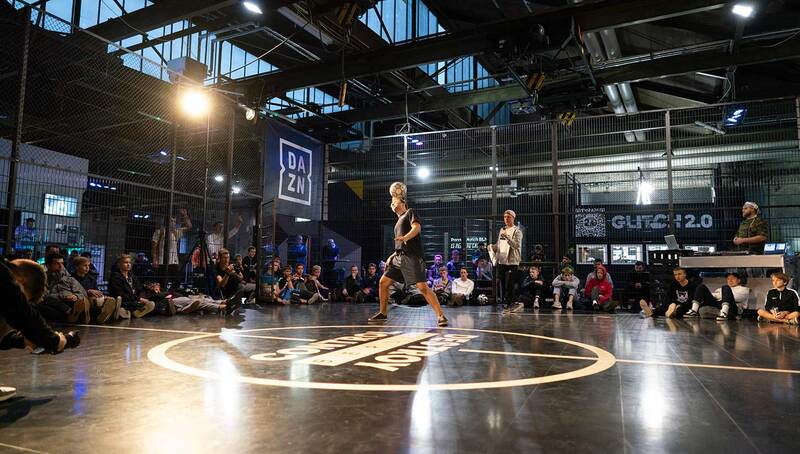 Step inside and to your right you have the 2018 European Freestyle Football Championships, and to your left you have a caged turf football pitch along with adidas branding and activation events for its Tango League event, which took place after the freestyle proceedings. Although some may say it was smaller than what they were expecting, this venue did do one thing very well — create and contain the atmosphere for the battles. 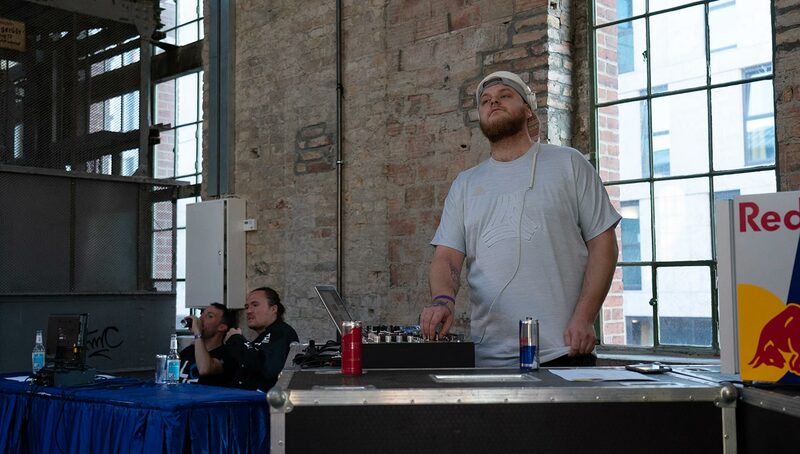 In addition to the loud trap tunes by freestyle regular DJ Skodiss, the spectating freestylers did their best to ramp up the noise and cheer on their favorites and react to the most impressive bits on stage. For spectators it was pretty chilled out watching from the bean bags (if you were lucky enough to get one) while still being close enough to the action. I don’t know if the live stream would have been able to have done the venue justice, but overall it seemed a good fit.